Good morning! Today is a beautiful Saturday. Wake up every morning thankful for the wonderful life that you have been given. 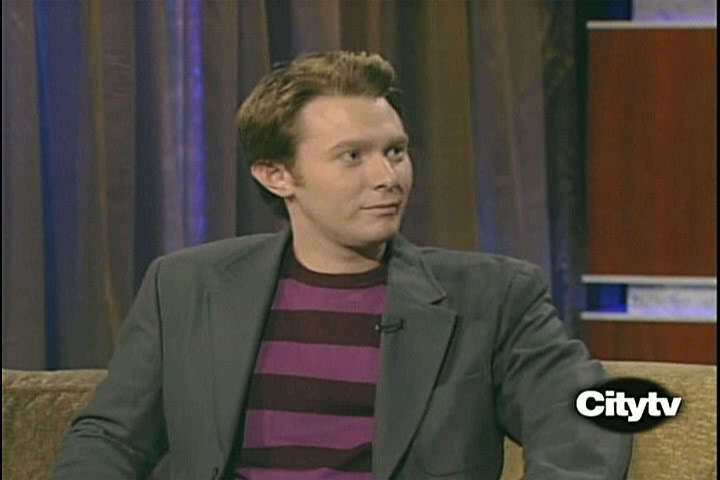 It’s always fun when you visit YouTube and find a fun Clay Aiken video that you haven’t seen for a long time! I found a great video from October 6, 2005. Clay was a special guest on the show, Jimmy Kimmel Live. He was a last-minute fill-in guest for William Shatner. Clay and Jimmy both seemed relaxed and had a great conversation. Towards the end of the conversation, Clay took a moment to promote his upcoming Joyful Noise Tour. I hope you enjoy this fun video! This clip was new to me. Never saw it before. Thanks for posting it. Clay looked terrific at that interview with Jimmy Kimmel. Thank you for this clip from Jimmy Kimmel. I never saw it before. I like it. Error: Error validating access token: Session has expired on Tuesday, 21-Aug-18 16:13:01 PDT. The current time is Monday, 22-Apr-19 23:12:26 PDT.